Dunlop is premium manufacture of tyres and sports equipment and is the pioneer of the modern day tyre, the genius of John Boyd Dunlop. This new design has been patented by Dunlop and is what we know today as the modern tyre. The company has grown from its humble beginnings into a multinational company part of their success has been their links to motor sport today mostly seen in Leman's racing and BTCC. Dunlop has a long history of all types of motor sport and is part of their image and brand. Over time they have grown to become an instantly recognised brand, their tyres are original equipment on many vehicles and are priced below other premium brands, which makes them better value for money. 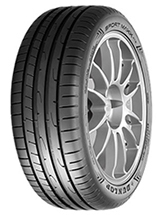 Touch technology and Fast response are two new tyres to the line-up both of these are highly rated and compete with all the premium makes in terms of their performance credentials.